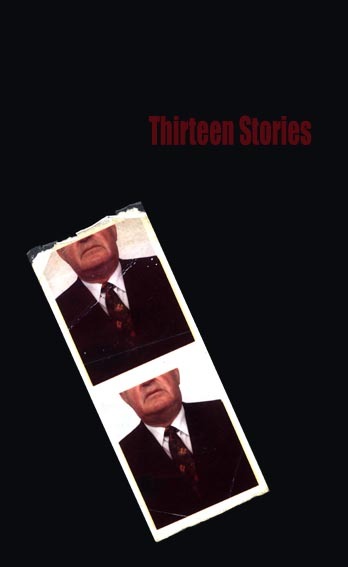 Thirteen Stories is a selection of 12 short stories based upon a found strip of two passport photographs. Within each book a reproduction of the photograph is included as a bookmark. The progression of the bookmark through the pages of the book can be seen as the thirteenth story of the book. Each story uses the photograph, or the character in the photograph, differently. This gives the contents of the book a flux with no constant meaning, whilst also denying us a definitive interpretation of the character. In this sense the book treats the photograph in much the same way that we did when the photograph was found on the street - any questions about it's origin, context, and identity are ultimately left unanswered.